Chloe’s new patio is now open for lunch and dinner. 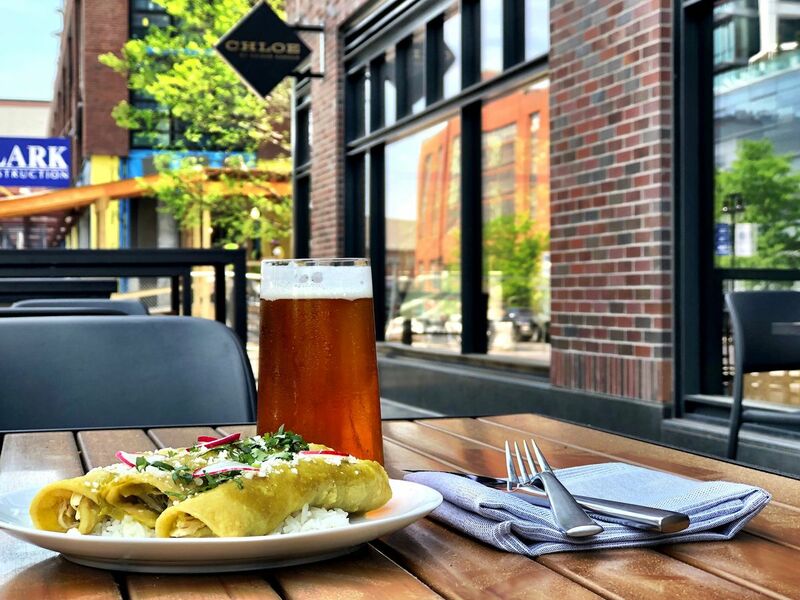 The summer heat is almost on, and that means local restaurants and bars are rolling out a variety of new perches to appease fans of al fresco dining and drinking. This list is limited to newer or recently refreshed patios only. Next week, Morris American Bar is tacking on a new outdoor drinking destination called Fix Bar, slated to serve up crushed ice cocktails and canned rosé. 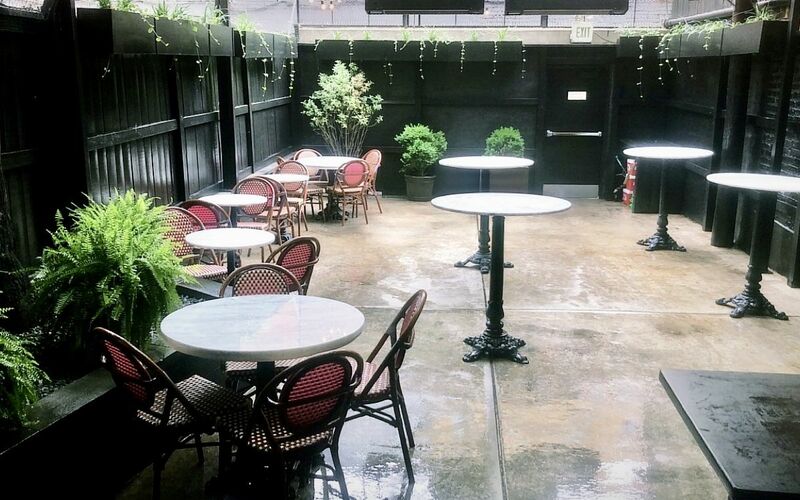 And downtown’s French newcomer Opaline is prepping to unveil a new Parisian-inspired patio this summer. Make sure to check out companion coverage of the area’s dog-friendly patios, essential rooftop bars, busiest people-watching spots as well as buzzy local beer gardens. Know of another new patio worth checking out? 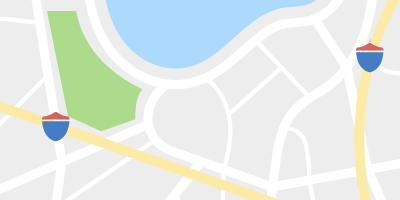 Sound off via email (dc@eater.com); Eater will update this map throughout patio season. The latest piece of the new Live! 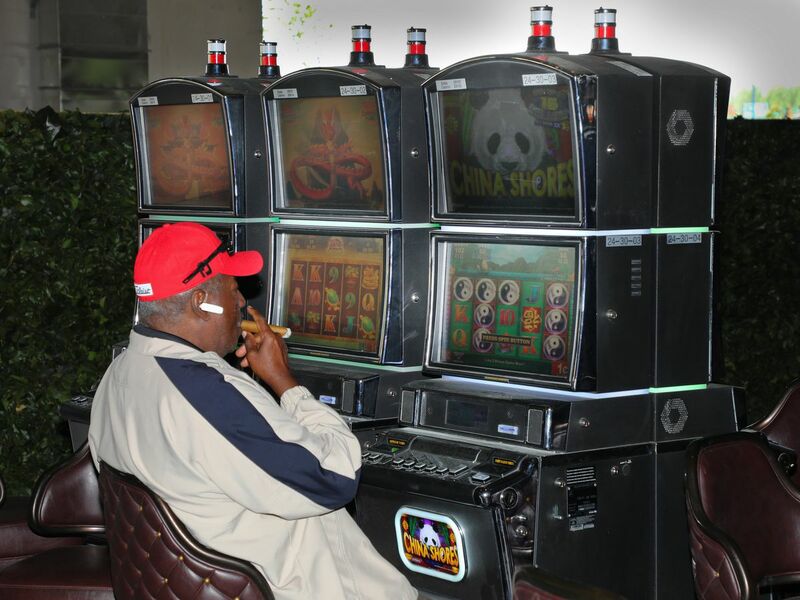 Casino & Hotel bills itself as Maryland’s first outdoor casino area. Along with barrel-aged cocktails and curated cigars, the brand new nature-inspired space has an extra (permitted) perk of letting players move between slots and table games without carrying chips to the main cage. The new patio at Live! Casino & Hotel opened in May. 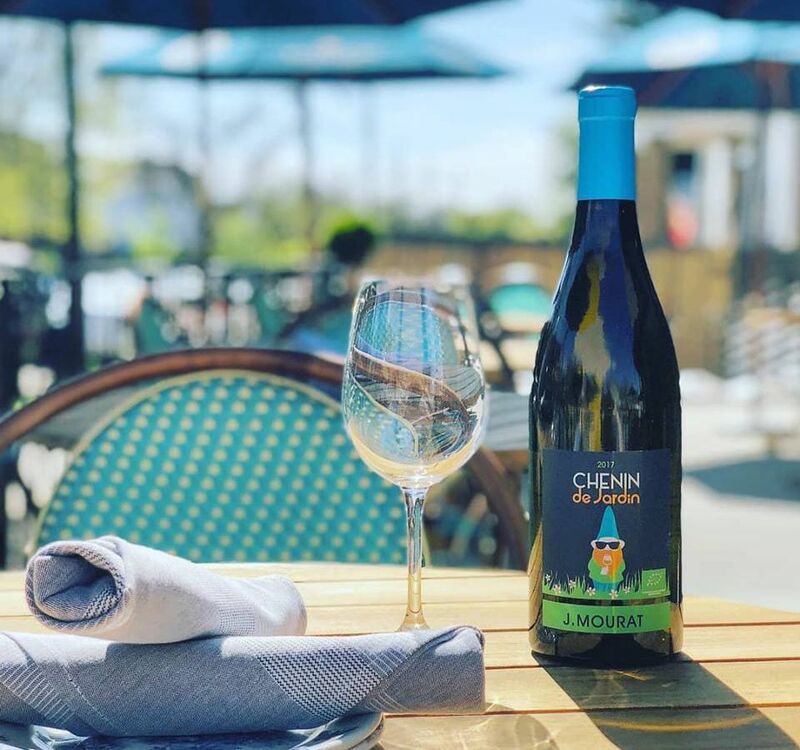 Brookland’s new French-inspired wine bar just unveiled their patio for the season, offering its full dinner menu and soon-to-launch lunch menu for al fresco diners. Specials include French toast and duck liver mousse paired with a liter of rosé for $44. Primrose just opened its patio for the first time. The new team at the U Street fixture just gave its back outdoor area a refresh this season, complete with a concise drinks list that includes three beers, five wines, and a rotating cocktail. The Gibson’s newly refurbished back patio. 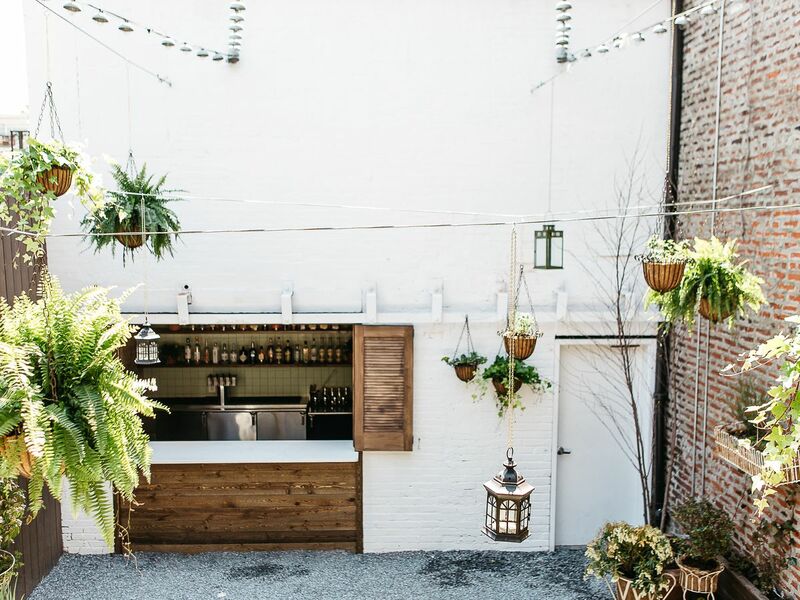 Blagden Alley’s urban backyard features a spacious 3,000-square-foot patio complete with communal tables and an open-air bar surrounding a large vintage greenhouse, which holds additional seating or large semi-private parties. Ambiance includes string lights, lanterns, creeping ivy, and grape vines. 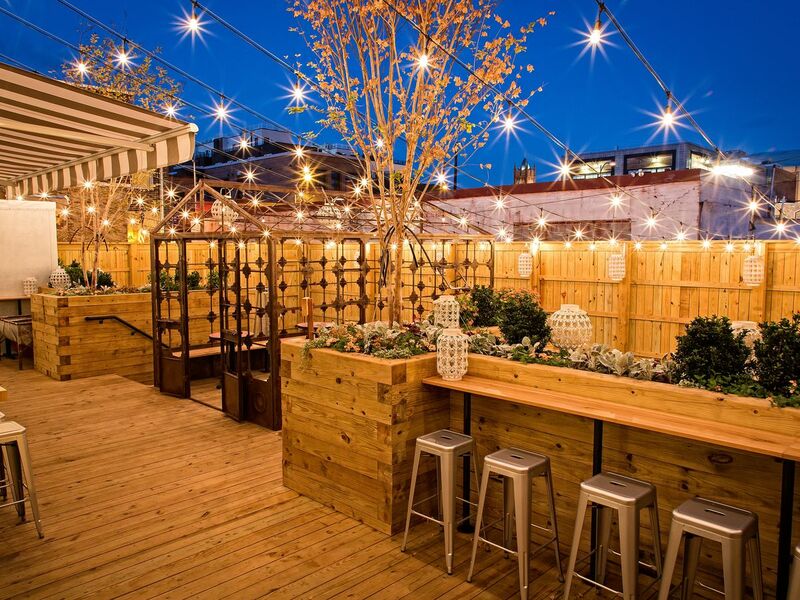 Taco Bamba’s newest D.C. outpost (formerly Del Campo) offers a 40-seat outdoor seasonal patio in the heart of Chinatown. Guests can order tacos inside and enjoy them with a cocktail on its month-old patio, open for breakfast, lunch, and dinner. Taco Bamba’s new outdoor patio. Momofuku CCDC just launched a new outdoor dining space with a seafood pop-up every Saturday and Sunday. 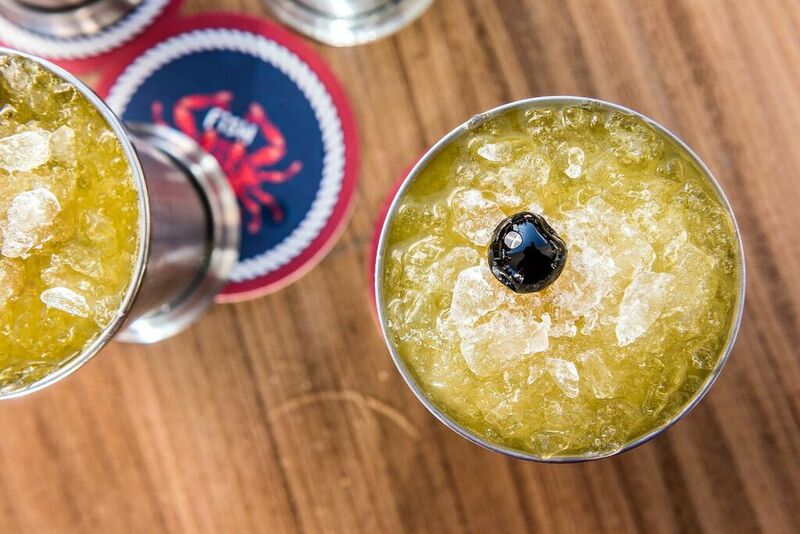 The restaurant’s exclusive patio menu features seafood by the pound, towers of Natty Boh, and alcoholic slushies. Momofuku’s new lineup of weekend patio items. 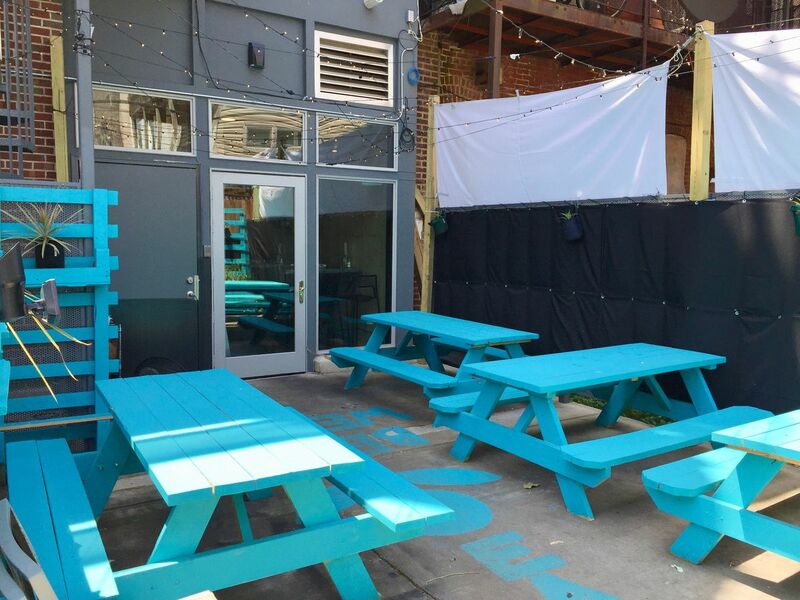 Tucked away behind the busy H Street NE corridor lies Fare Well’s back patio, which debuted last summer. Bright turquoise picnic tables illuminate the space, which serves up vegan food and cocktails. Warm Up With Creative Hot Chocolate in D.C. The Atlas District bar just tacked on a huge back patio this spring, complete with a full bar, hanging ferns, and string lights. Hill Prince’s new back bar can fit 30. The iconic Watergate hotel just transformed its patio outside Kingbird into a beer garden through the summer. The new attraction features a rotating lineup of specialty beers and seasonal offerings like Victory Prima Pils and is open 3 p.m. to 10 p.m. Friday through Sunday. 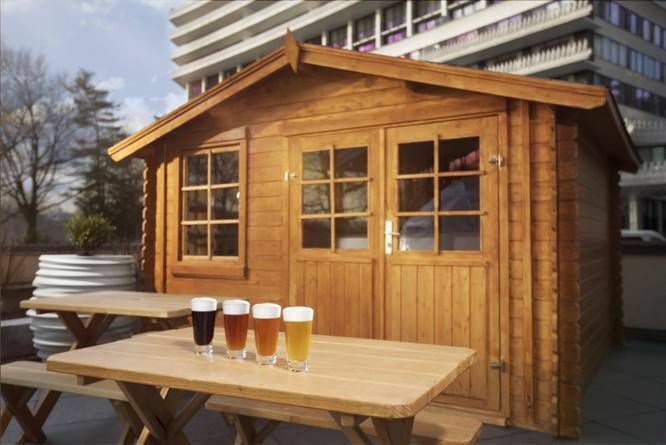 The Watergate’s new beer garden. 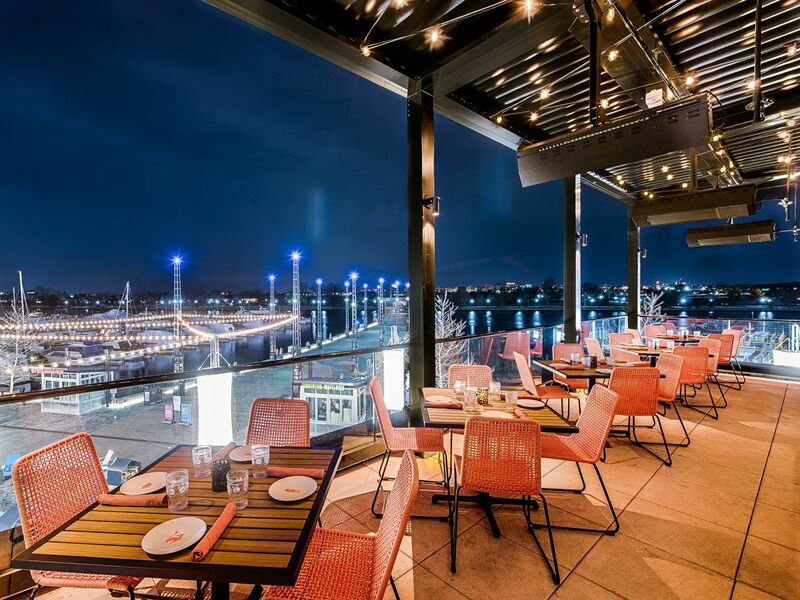 The new 11,000-square-foot Mexican restaurant on the Wharf from Knead Hospitality + Design and New York chef Roberto Santibanez boasts waterfront patio seating that’s equipped with fire pits, a sun-shading pergola, and fans to keep the space cool throughout the summer. Mi Vida’s scenic waterfront patio. 17 Places to Eat on Christmas Day in D.C.
Gooey Cheese Map: Where to Eat Queso Fundido in D.C. 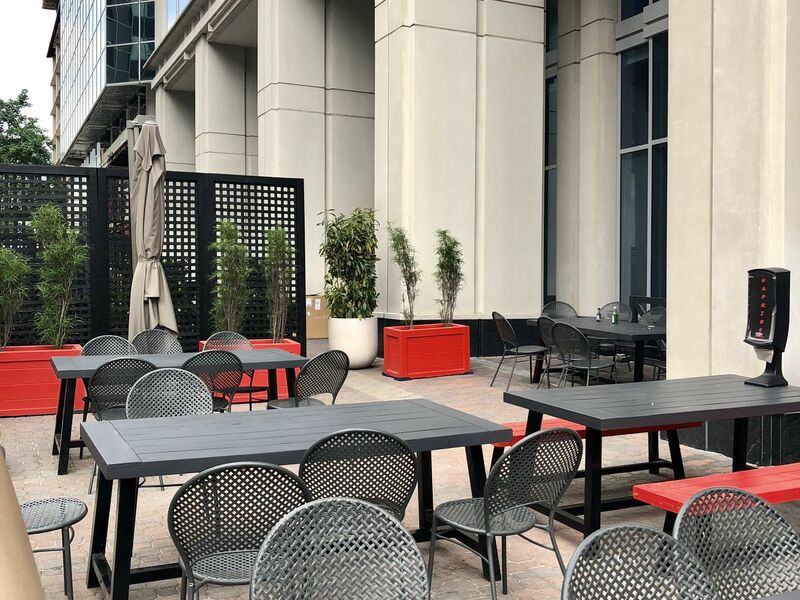 Chef Haidar Karoum’s Navy Yard restaurant has a month-old 32-seat sidewalk patio with full service available at dinner and happy hour. Patrons can also snack on its grab-and-go creations like banh mis and chicken enchiladas during lunch. Chloe’s new patio opened in April. Italian fans can feast on pizza and prime waterfront views at this Navy Yard newcomer, which debuted its quaint and rustic patio in tandem with its opening last month. All-Purpose features a waterfront patio. 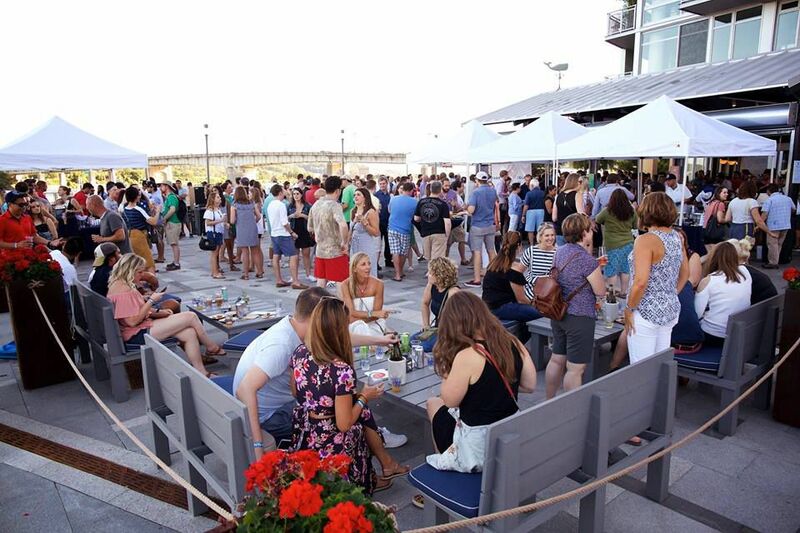 Long Shot Hospitality’s riverfront destination located steps from Nationals Park just expanded last month with a new outdoor lounge area for raw bar and beverage bar service, complete with couches, rocking chairs, and lighted fountains. The Salt Line just expanded its patio in time for baseball season. 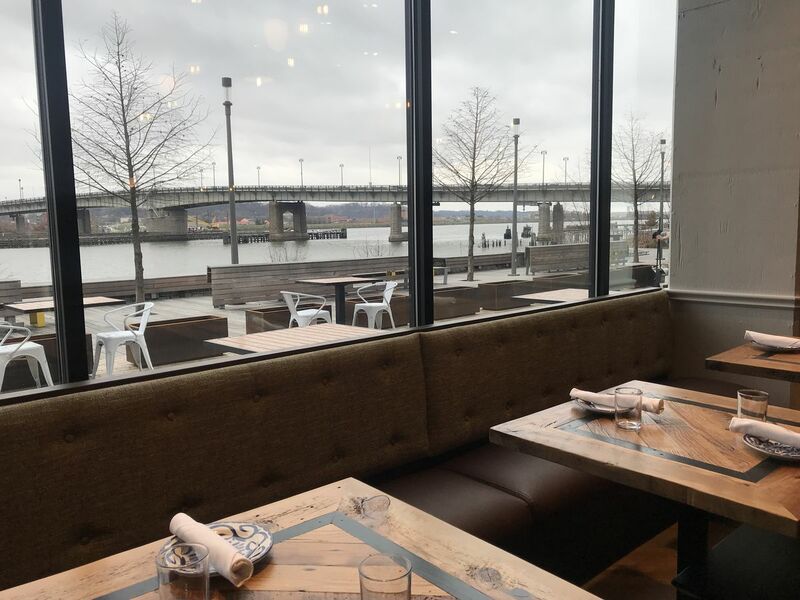 Fish’s newly opened patio offers views of the Potomac River, with communal tables outfitted with built-in beverage coolers. 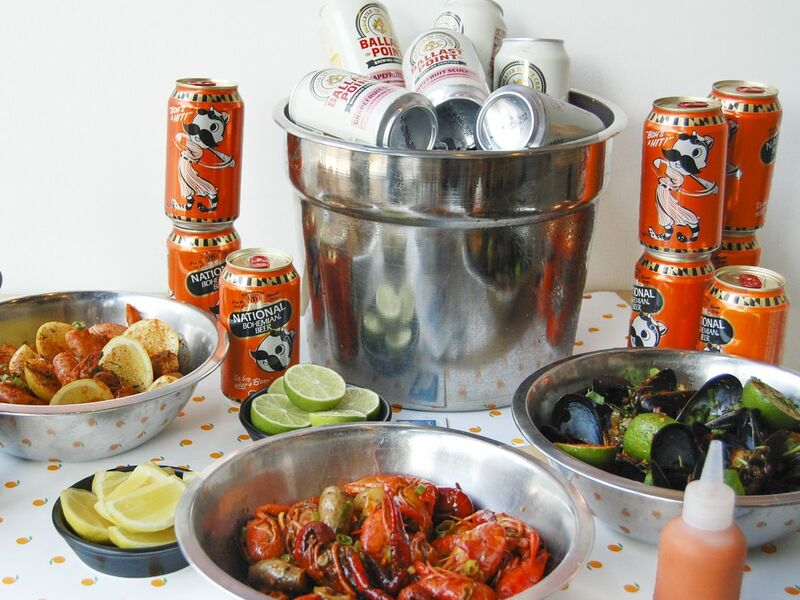 Fare includes Maryland blue crabs, lobster, fish tacos, and shrimp, and there’s also a Spanish cider operation. A “social hour” offered every Friday from 5 p.m. to 8 p.m. includes half a dozen oysters from Rappahannock Oyster Company and a wine or beer for $17. An icy cocktail at Fish’s patio.